This is the second book featuring Commissario Soneri, a police officer based in the Po Valley, in the north of Italy. In this book, he is on holiday in Montelupo, a wooded, hilly region in Tuscany, where his family used to live. He is tired and exhausted, and wants to relax. He has fond memories of foraging for wild mushrooms in the autumn in Montelupo, and intends to spend his holiday doing just that. But few mushrooms seem to be on offer, except for the unlucky black chanterelles, or 'trumpets of death'. And there is an uneasy feeling in the village, where, despite posters proclaiming otherwise, Paride Rodolfi, the local wealthy salame and prosciutto manufacturer seems to have disappeared, and shortly after Soneri arrives, Paride's father Palmiro, is found hanged. Despite Soneri's best efforts not to get involved (he's just here for the mushrooms), he does inevitably become drafted in to help find out what's going on. In the process, he finds that there is much to be learnt about his old friends, his family, and the hold that the Rodolfis appear to have over the village. There are some interesting contrasts between the old and the new Italy, old ways and habits and how some remain even in the modern age. Soneri spends a lot of time walking about in the woods, where he encounters a mysterious woodsman who helps to unlock the mysteries surrounding the Rodolfis. He makes regular phone calls to his girlfriend Angela, who helps dig around to find out more about the Roldofis, and their business activities. The writing is fairly typical of the genre of Italian detective novels, somewhat akin to Camilleri, but with a more broody, morose detective and less of the light humour that permeates the Camilleri books. A bit of concentration is required to remember all the characters, and the part each of them play in what is a fairly complex story, with connections back to the partisans and Facists, as in the first book. I liked the book, and thought it was interesting, and yet I found it hard to get too involved in the story, and it didn't make me want to stay up late to read to the end. Worthy rather than exciting, overall. 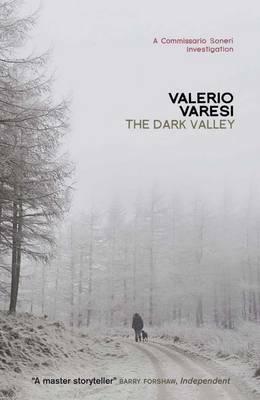 Read another review of THE DARK VALLEY.